In steady-state modeling of the long-term carbon cycle, the global rate of burial of carbonates Fbc, is simply a dependent variable calculated from the rate of input of carbon to the oceans plus atmosphere from weathering and CO2 degassing. Fbc is calculated from the combination of equations (1.10), (1.11), (1.12), and (1.13) and is a consequence of the necessity of having global C inputs balanced by outputs. The only variation in Fbc, independent of variations in the inputs, is due to variations in 813C, which governs the relative proportions of carbonate versus organic matter burial. At equilibrium, C CaCHCO32 / PCO2 = Ksp and Fbc = 0. Equation (3.3) ensures stability of oceanic composition by providing negative feedback against the buildup of excessive levels of dissolved calcium and bicarbonate in seawater. Also, at reduced levels of Ca and HCO3-, equation (3.3) shows that dissolution of already deposited calcium carbonate should occur. There are some problems with this simple rate law. First, the ocean is not a uniform reservoir, and it is divided into shallow waters where CaCO 3 is supersaturated, and deep waters where it is undersaturated. Thus, precipitation occurs in shallow waters and dissolution occurs in deeper waters. Second, the simple rate law does not recognize the fact that most carbonate precipitation from seawater takes place biologically (Morse and Mackenzie, 1990). Corals, molluscs, calcareous algae, forams, and so on, secrete calcite and aragonite by biochemical processes that do not simply follow the rate laws formulated for inorganic precipita tion. Third, dissolution in deep sea sediments is complicated by reactions above, at, and below the sediment-water interface, and it can even occur in sediments overlain by supersaturated seawater. In the latter case this is due to an excess of carbonic acid within the sediments caused by the oxidative decay of organic matter (Emerson and Archer, 1990). Regardless of all these problems, however, as a first approximation it can be assumed that, on average, the whole ocean can be treated by simple kinetics for both precipitation and dissolution as shown above. An even simpler model that is much easier to use and is almost equivalent in results to equation (3.3), is to assume that the oceans are saturated at all times with calcium carbonate (Caldeira and Berner, 1999). In contrast to total burial rate, the locale of burial of carbonates is an independent variable that is important to the long-term carbon cycle. Calcium carbonate is deposited in the ocean as aragonite, calcite and highly magnesian calcite in shallow waters and as calcite in deep waters and the shallow water carbonates are sometimes converted to dolomite during early or late diagenesis (Morse and Mackenzie, 1990; Arvidson and Mackenzie, 1999). Carbonate deposited in the deep sea is much more likely to undergo subduction at plate boundaries and thermal decomposition at depth than the shallow water carbonates. Thus, any shift of deposition between shallow platforms and the deep sea could lead to changes in global rates of CO2 degassing and to changes in atmospheric CO2 level. This is believed to have happened in the geological past. The principal Mesozoic and Cenozoic sources of deep sea or pelagic carbonate are the skeletal remains of calcareous plankton, chiefly fora-minifera and coccoliths. These organisms did not arise until the Jurassic period, about 150 million years ago. Since that time they have expanded and grown in abundance. The remains of the calcareous plankton fall to the deep sea floor and accumulate there to form carbonate-rich pelagic sediment. Partly because of the evolution of the calcareous plankton, pelagic deposition has increased over the past 150 million years so that at present more than half of global carbonate sedimentation is in the deep sea (Milliman, 1974). Added to this is the loss of shallow water shelves and platforms available for carbonate deposition. Walker et al. 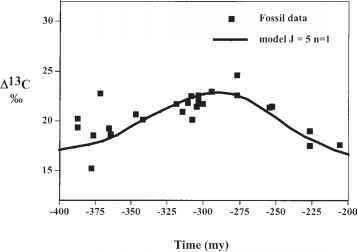 (2002) have calculated that the rate of shoal water carbonate deposition has decreased sixfold over the past 70 million years because of a loss of sufficiently warm, shallow water areas. To avoid accumulation of dissolved carbon in the ocean, this has meant a corresponding increase in deep sea deposition. Figure 3.7. Relative abundance of tropical carbonate shelves, tropical clastic shelves, and total global shelves versus time for the Phanerozoic. Note the consistent loss of carbonate shelves with time. (After Walker et al., 2002.) © 2002 by the University of Chicago. 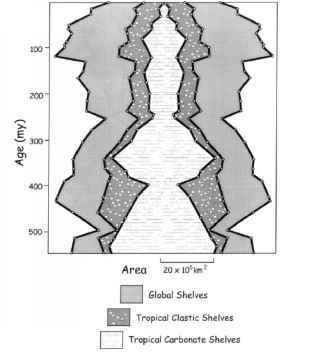 explained by the loss of warm-water shelves with time (Walker et al., 2002). Loss of shallow-water areas available for carbonate deposition should be accompanied by an increase in deep water deposition. However, there is no evidence for mid-ocean pelagic carbonates older than 150 Ma, indicated by an absence of chalks and carbonate sediment-containing ophiolites older than this time (Boss and Wilkinson, 1991). (Ophiolites are samples of ancient mid-ocean ridge crests.) Thus, there is a quandary as to where carbonate deposition occurred before 150 Ma. This is especially true of the period 350-250 Ma (Walker et al., 2002) when the abundance of carbonate shelves decreased by a factor of about 4 (figure 3.7). What is deposition and burial? What is deposition in the carbon cycle? How much calcium carbonate is deposited in the oceans each year? 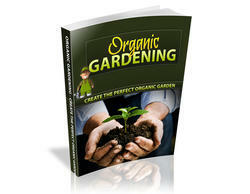 What is carbon burial in reservoir? Where are sites of carbonate deposition? How is deposition a part of the carbon cycle?